LONDON, UK, 2018-Jul-26 — /EPR HUMAN RESOURCES NEWS/ — CV Politan offers a wide range of job application writing services in the UK and all over the world. Now the company also provides professional assistance with IT CV writing. ITALY, 15-Feb-2017 — /EPR HUMAN RESOURCES NEWS/ — In order to reach its ambitious objectives, the LINKS Foundation aims to identify a new General Manager able to catch the opportunities and to address the challenges in the context in which the Foundation operates. For this reason a selection process has been started, in order to find the appropriate person with the relevant strategic vision and the tangible international experience essential to drive LINKS towards the future (www.linksfoundation.com/recruiting). LINKS Foundation is a non-profit Institution operating at a national and international level carrying out applied research in the sectors of engineering and architecture, thus focusing both on information and telecommunication technologies and on territorial and environmental sciences. • workshop where multiplying the opportunities of development for businesses and citizens: it will enhance the technological skills for the territory also through the attraction of talents and expertises and it will create a system enabling successful synergies. The founding values of LINKS are the PEOPLE, which make up the fundamental backbone, together with the COURAGE to accept the new challenges of the SOCIETY. The objective of the Foundation is therefore to strengthen partnerships with actors ranging from universities to the Investment Funds, from public bodies to companies. LINKS also aims to promote, lead and step up, the processes of innovation and research projects impacting on our society, merging the fundamental research typical of universities and the transversal and multidisciplinary internal competences to create both socio and economical added value on the territory. This includes the desire to attract talent and expertise from around the world, creating a focal point for applied research and for the development of scientific expertise. “Rootedness, ambition and entrepreneurial energy are our keywords, the spirit that is moving us to create something new, something that does not exist yet. 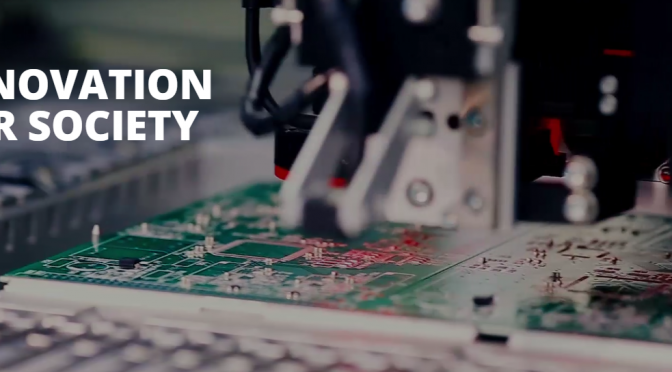 We understand what companies need to innovate and we are here to help them do their journey to an innovation of product and process that will allow them to compete globally”. These are the first words of Andrea Alunni, Chairman of the Foundation, which underline a clear philosophy: to be competitive you need to innovate, and innovation should be an ongoing process that is not only of product implementation, new or significantly improved, but – even – the study of new approaches, new production methods or usability for end users. Entrepreneur Launches Rocket hub campaign to raise $58,000 CAD to fund Career Matchmaker, a career and job search app for iOS, Android, Windows and Blackberry. Calgary, AB, Canada, August 28, 2015 — /EPR HUMAN RESOURCES NEWS/ — With a passion for technology and apps, Canadian entrepreneur Shane Vogelgesang recently launched a Kickstarter campaign to raise $58,000 CAD to fund his job search app concept, Career Matchmaker. 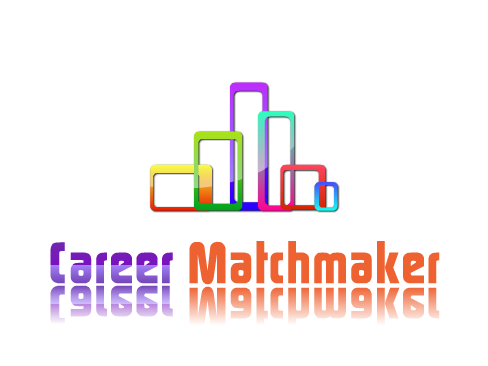 When fully funded, the Career Matchmaker app will help job seekers identify careers that best match their interests and will help users search and apply for suitable jobs online. Here’s how it will work: After downloading the app to an iOS, Android, Windows or Blackberry device, Career Matchmaker will present the job seeker with a quiz that will ask about specific interests such as working with children, preferences of working indoors or outdoors, desire to drive a vehicle for work, etc. The user will click “Like” or “Dislike” for each question, and upon completion of the quiz, the app will suggest careers that match the user’s interests. With a focus on a positive user experience, the Career Matchmaker app will also help job seekers in their employment searches. App users can search for jobs manually, or they can use the drop-down menu to view jobs in by industry category such as Transportation & Logistics, Oil & Gas, Airlines, Engineering, Aerospace & Defense, etc. In addition, the app would offer links to videos for areas of particular interest. Supporters of the project can make pledges of any amount. Backers who pledge at least $10 will receive official notification when the app is available. Backers who pledge $30 or more will get the opportunity to test the app via TestFlight and will receive notifications when the app is available in multiple platforms. 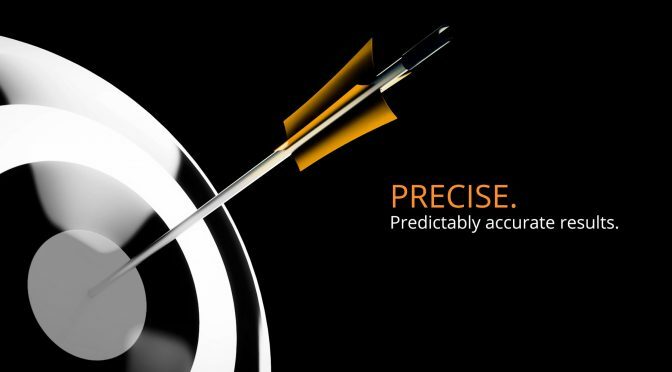 The anticipated launch date for the project is August 2015. The coalition government have tried twice now to privatise the NHS as part of their plan to make changes to the way it works. These changes come as cuts need to be made to the NHS’s spending. Yesterday, 24th April 2013, a meeting was set in The House of Lords for ministers to vote on competition within the NHS after Labour accused the government of bringing in privatisation at an alarming pace. Today internet users around the world are using thousands of job search websites to apply for jobs. Although, users are hassled by thousands of sites to create profiles, post resumes, enter personal information, remember yet another password and be daunted with spam mail on a daily or weekly basis. Job seekers find themselves 2 hours into the job search and they haven’t even read the first opportunity. That all stops today! UAV Jobs Report is bringing Unmanned Aircraft Systems (UAS) professionals to meet relevant opportunities at leading companies, and ask nothing in return from the user. They do not even want your email address. Users love the easy function of the site. Job Opportunities are listed in three categories – Pilot, Technician and New with each listing directly linking to the hiring company’s web site. Then the user can choose to only share their sensitive information with that company’s site. The site www.uavjobsreport.com also insures users they are delivering relevant and legitimate career opportunities by screening each posting. 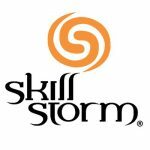 When asked what the site is trying to accomplish, 13 year UAS industry veteran and site creator answers, “We simply want to pass along career opportunities to the men and women whom are well trained to perform the job. We aren’t looking to career coach you, but only inform you. I want users to feel a sense of freedom on the site – freedom that is from pop ups, career advice columns, feeds, spam mail and keeping up with another profile.” He continues to encourage the public to, “Come visit the site and if you like it I do ask you share the site with others who will be interested”. For more information about the website uavjobsreport.com, or for information on how your company can post a job or advertise, please email Lanair Baker atinfo@uavjobsreport.com. In sharp contrast to the overall job market, which according to the latest Australian Bureau of Statistics (ABS) data shows the number of job vacancies in November at its lowest in 30 months, there are abundant opportunities in the disability and community care sector. The increasing demands of an ageing population and a rise in the numbers of individuals accessing disability services are driving a jobs boom in the disability and community care workforce, with thousands of new workers needed across the country in the next five years. Mike Field, Project Manager, Workforce Recruitment at National Disability Services (NDS) today announced that NDS’s award-winning carecareers web site www.carecareers.com.au will for the first time be making its services available Australia wide. Part of an initiative aimed at promoting the benefits of a career in the sector, the carecareers jobs board has helped thousands of people in NSW to find work. 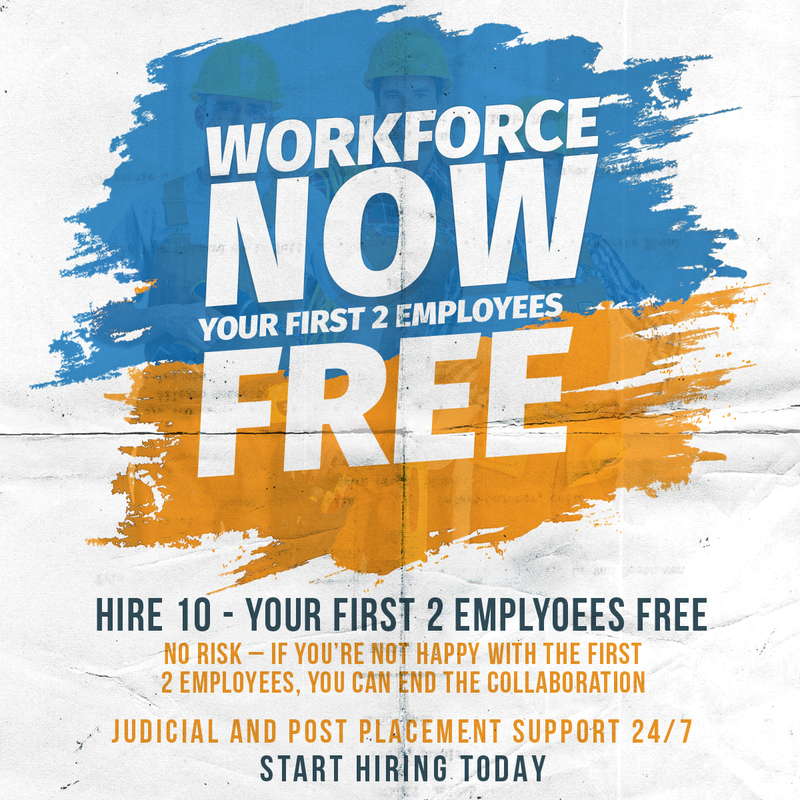 From 11 February jobseekers and employers in Victoria, Western Australian and the ACT will be able to take advantage of the service, as will jobseekers and employers in Queensland, South Australia, Northern Territory and Tasmania from 25 February. “There has never been a better time to explore a career in the disability and community care sector. Employment is booming, with some estimates that the workforce in the disability sector could double with the introduction of the National Disability Insurance Scheme, due to be phased in by 2018,” Mr Field said. “A career with a disability or community care provider offers not only a rewarding career, but job security, flexibility and good opportunities for training and career advancement” advised Mr Field. Potential candidates can go online at www.carecareers.com.au and take a quick picture-based quiz to find out what type of job in the sector would suit them best. Last year, unemployment among Iraq and Afghanistan veterans trailed the national average by almost 4 percentage points. Though many companies recognize the benefits of hiring veterans, few have the expertise and knowledge needed to attract, evaluate, and retain members of this extraordinary talent pool. More than 80 companies, including Wal-mart, Goldman Sachs, Viacom, Delta, Etsy, Securitas, The Ladders, and others from a wide range of industries will be in attendance to learn best practices from leading experts in the veteran employment space. Employers will also hear from a group of recent military veterans and college graduates about the challenges they’ve faced and the types of industries they are interested in. Linda Cawley, a specialist of the Warriors to Work program for the Wounded Warrior Project, and Mike Abrams, Co-Founder of Four Block Diversity Leadership, a service that provides student veterans with professional development and connects them with internship opportunities at corporations, will lead a panel discussion titled, Hiring, Managing, and Retaining Veterans. A second panel, Veterans Speak: Employment Challenges Facing Veterans, will be lead by Bryan Adams of Operation Iraqi Freedom, Aubrey Arcangel of Operation Iraqi Freedom, Joshua Ray of Operation Iraqi Freedom-Indonesia Tsunami Relief, and Katie Dexter of Operation Iraqi Freedom. Lumesse, a global leader in integrated talent management, and Work4Labs, the world leader in Facebook recruiting solutions, have partnered with Sephora to improve the visionary beauty retailer’s employer branding online. As a long time user of Lumesse’s recruitment solutions, Sephora sources and hires an average of over 1000 people each year. The company is constantly evolving to meet the challenges of the market, as seen with the recent integration of social networks into its overall branding strategy. Now Sephora has begun to interface Lumesse’s recruitment solution with Work4 Labs’s Work for Us application to allow recruiters to advertise their vacancies on their Facebook career pages, attract new candidates, and promote their employer brands. In July 2011, Sephora migrated its HR Blog to Facebook and gave birth to the page We Are Sephora, which quickly became a huge success. To date, the page has more than 23,000 fans in France and Europe — fans whose numbers continue to grow. Visitors can discover the different career opportunities and learn about training through video interviews with current employees. Visitors can also follow newsworthy events like store openings, awards, and partnerships, such as the business games Sephora organizes with MBA programs. The central focus of Sephora’s Facebook presence is its online recruitment. All vacancies on Sephora’s career site, which have been managed with Lumesse’s recruitment tool for several years, are now automatically posted on the Facebook page “We Are Sephora” using Work4 Lab’s Work for Us. Before the launch, Sephora already had a “Job Opportunities” tab; however, the Work for Us application allows for greater efficiency and visibility of Sephora’s HR communication. This page does not just aggregate all of the available jobs, but also displays smart content, targeted at the profile of the viewing candidate. When a user “likes” a job, all of his friends are alerted, which expands Sephora’s audience. The user can also view who among his friends would be best fit for a particular position, “share” or “send” a job opportunity to a particular contact, and perform more targeted research to find opportunities by location, keyword, type of contract or trade. These innovative and automated features create a real online Facebook community and offer a unique recruitment experience for the user and company alike. EmptyLemon is reminding all jobseekers to do their research about the company before going to the interview. This job board prides itself on putting employers in direct contact with jobseekers, removing the need for recruitment agencies. The company started out as an IT Job Board, specialising in sectors such as Data Analyst Jobs, Development Jobs, and Project Management Jobs. Due to phenomenal expansion,EmptyLemon went cross sector in September 2012. The role of carecareers – managed by National Disability Services (NDS) and NSW government funded – is to enable qualified talent to find suitable jobs in the care & disability sector. In this pivotal role, carecareers brings together employers and candidates to help meet the needs of an increasing number of individuals needing care and support. The issue was of carecareers’ own making. When the project was initiated, carecareers wanted to keep open a number of options including potential operation as a full-service recruitment agency. This resulted in investment in a comprehensive Applicant Tracking System with a range of capabilities that carecareers was ultimately unable to exploit. As carecareers developed, its priorities firmed and it became clear that what was needed most was software that enabled carecareers to match the service of the best job sites on the market. As a result, carecareers engaged JXT to provide a new jobboard platform. Through a complete integration with carecareers’ existing website, including applicant tracking, JXT have introduced best-practice jobboard technology to carecareers. With the implementation of JXT’s technology, carecareers can see the potential scope for broadening their industry reach to more employers, more candidates. ‘This is an exciting move for the care & disability industry. JXT’s jobboard platform has opened up our services to more employers, more candidates, and more mediums including social media, mobile and search. Thanks to JXT, we’re able to give candidates a vastly superior hiring experience. This is a true win-win for everyone involved. GHI is one of the largest flatbed transportation services in the Northeast, and they are holding an open house for immediate hiring at their new Baltimore, MD Terminal. Positions are open for CDL Class A Company Drivers, Owner Operators, Yard Jockeys, and Tarpers. Company Drivers: Great pay and benefit packages. Must be a minimum of 23 years of age, and have a CDL Class A License. Owner Operators: Offers excellent earning potentials and a pay structure designed to maximize your profit. Must have two or more years’ experience driving tractor-trailers and no more than three moving violations on your current MVR. Yard Jockeys and Tarpers: Work close to home for one of the best companies in the industry with steady work year round. There is a large influx of job opportunities in the transportation industry, and Baltimore has become one of the highest volume transportation hubs in the region. The new terminal is located at 2301 S. Newkirk St. Baltimore, MD 21124 and is staffing for their terminal expansion and it is best to call for an appointment to assure you get the job position of your choice. If you are interested in local steady work year round with great pay and benefits, call to schedule an appointment at their open house job fair at 1-800-342-5115 Ext. 376. If you meet the qualifications, call to schedule your appointment today! 1-800-342-5115 ext. 376. The Transportation Industry In Baltimore MD is Booming with local Jobs for CDL Class A and Owner Operator Truck Drivers and Large Terminals with plenty of Immediate openings for Yard Jockeys and Tarpers. There are new terminals being opened to meet the transportation services demands and Baltimore has become one of the highest volume transportation hubs in the region. Some of the largest regional transportation service providers are ready to start taking in calls to schedule an appointment for their open house job fair at 1-800-5115 ext 376. GHI, one of the largest dedicated flatbed transportation services in the Northeast is holding two open houses for their immediate hiring of CDL Class A Company Drivers, Owner Operator jobs, Yard Jockeys and Tarpers. The Baltimore Job Boom is great for those looking for steady year round local work with regular home time with great pay and benefits for all personnel at the new terminal location. With the terminal expansion being staffed to meet the booming transportation service needs located at 2301 S. Newkirk St. Baltimore, MD 21224. It is best to call ahead and schedule your individual appointment to assure you are given the best opportunity to land the job of your choice. Company Drivers Get the respect you deserve, only the best drivers in the industry are hired and they are rewarded with outstanding compensation and benefits packages for being the best. Owner Operators Get hired by a company that pays as much attention to the needs of owner operators as they do for their company drivers. This employer understands the financial pressures of running your own tractor. Get the best offers with excellent earnings potential, and a pay structure that is designed to maximize your profit. Yard Jockeys and Tarpers: Steady work, year round,and close to home with one of the best in the industry. Call to Schedule your appointment today, and Get Hired. The City Of Baltimore MD Transportation Jobs Reporting, For The Employers who Are Hiring Right Now. The Leader in Actuarial Recruitment, Ezra Penland, is proud to announce the hiring of two new employees at the rapidly-growing, Chicago-based firm. Thomas Clohisy joins Ezra Penland as an Actuarial Recruiter. Tom has executive recruiting experience, as well as recruitment business development skills. He was also a successful commodities trader for a number of years, after having earned an MBA from Loyola University and a Bachelor’s degree from Purdue University. Tom can be reached at tom@EzraPenland.com. John Gieger joins Ezra Penland as Corporate Librarian and Data Specialist. John earned a Masters of Library and Information Science from Dominican University, as well as a Bachelor’s in Audio Engineering from Belmont University. He has varied experiences as a data manager and a librarian, and brings with him exceptional computer skills and an innate ability for information organization. John may be reached at john@EzraPenland.com. Additionally, Ezra Penland proudly awards their most recent $500 Actuarial Scholarship to Jordan Nadler. Ms. Nadler is a junior at Missouri State University where she is a Mathematics major with a concentration in Actuarial Science, and she is minoring in Finance and Risk Management & Insurance. In addition to tutoring mathematics, she is a member of the Delta Sigma Pi Professional Business Fraternity and treasurer of the Alpha Lambda Chapter of Gamma Iota Sigma, the Risk Management,Insurance and Actuarial Science Fraternity. Nadler has held an internship at American National and will hold an internship at Ernst & Young this summer in New York. She has passed two Actuarial Exams and is pursuing a career as an Actuary. And, finally, Sally Ezra, Partner at Ezra Penland Actuarial Recruitment, was interviewed in the May-June, 2012 Contingencies, the magazine of the American Academy of Actuaries. The topic was the “Workers Compensation Predictive Modeling Comes of Age”, and Ms. Ezra discussed the hireability and availability of actuaries with such skills. One of the UK’s leading retailers has joined the Capital Bonds network. John Lewis is now one of over 160 retailers where Capital Bonds are accepted. Recipients can redeem the Bonds at a total of 37 John Lewis shops across the UK – 29 department stores and eight John Lewis at home shops. Nicoll Curtin, one of the world’s leading IT recruitment specialists, has been shortlisted as part of the Recruiter Awards for the second year in a row. The international agency, which has offices in London, Singapore and Switzerland, was picked out by a panel of independent judges and will now compete for the Best IT Recruitment Agency award along with four other firms. The company specialises in recruiting for the banking and finance, commercial and public sectors, helping to support the performance of its customers and further the careers of candidates by placing them in high profile IT jobs in London, Zurich and many other cities around the world. Lawrence Hargeaves, Nicoll Curtin’s managing director, said: “Being commended in 2011 and shortlisted again in 2012 is a credit to all of our teams’ continuous hard work and effort. The Recruiter Awards are recognised as the industry’s ultimate recognition of excellence and best practice. The 2012 judging panel is made up of representatives from a wide range of businesses including Linklaters, Lloyds Banking Group, Transport for London, Mars UK Chocolate and Deloitte. The winners of this year’s awards will be announced during a ceremony at London’s Grosvenor House Hotel on Park Lane, on Wednesday, May 2.